One of the many wonderful things about Ireland is how easy it is to get around in a relatively short space of time. This means that after you make the move to Ireland, you can look forward to weekends exploring all corners of your new country, from the deserted beaches of Donegal, to the world-famous Ring of Kerry. If you are in the process of planning a move to Ireland, have you taken some time to consider what you will do with your car? 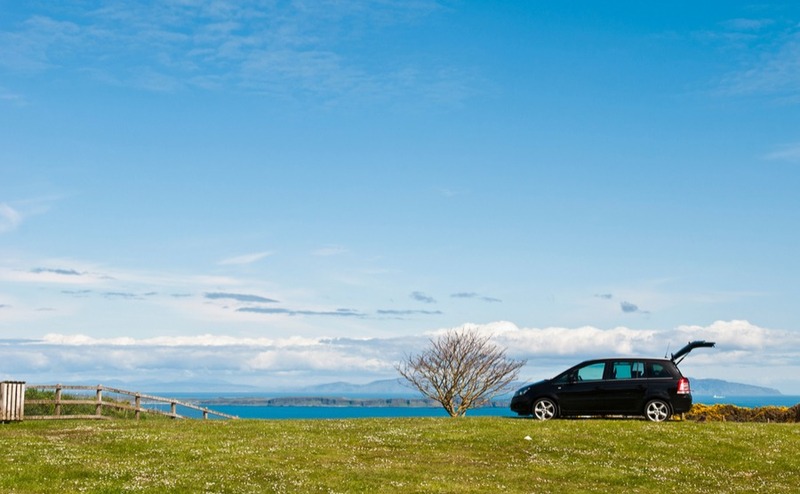 Given the country’s proximity to the UK, it makes sense to take your vehicle with you, but what does that involve, and is it worth the time and money? Today, we’re taking a closer look at the steps you need to take to drive your UK car legally in Ireland, and consider the costs of doing so. If you choose to bring your British car with you when you move to Ireland, there are four steps you need to take before you can legally drive in Ireland. When you know your exact arrival dates in Ireland, there are two appointments that you must book. Firstly, at your nearest Personal Public Service (PPS) Allocation Centre. This appointment should be made for as close to your arrival date as possible. At this appointment, you will be issued with a PPS number. This allows you to access healthcare, welfare and so on, but is also a requirement to register a car. You can only be issued with a PPS number in a face-to-face interview. Fortunately, it is possible to book this appointment online prior to your arrival. Secondly, you need to book an appointment at one of Ireland’s National Car Testing Services (NCTS) within seven days of your arrival. This appointment must be scheduled after your PPS number appointment. Your car registration needs to be completed, and the VRT paid in full, within 30-days of you arriving in the country. If you don’t do this, you may end up receiving a hefty fine, or in more extreme circumstances, having your car seized or facing prosecution. Make both appointments as soon as you know the exact date for your move to Ireland. As the name suggests, Vehicle Registration Tax is what you pay when you register a vehicle in Ireland for the first time. When you attend your NCTS appointment for the inspection, they will examine your vehicle. This is to ensure it’s the same vehicle stated in the official registration documentation. How much you have to pay in tax will depend upon the make and model of the car. Generally, they tend to go by a percentage of the car/small van’s recommended retail price. To establish a rough estimate that you can use to budget for your move to Ireland, visit the Irish Revenue’s Vehicle Registration Online Enquiry System. In addition to your PPS number, you need to take along proof of Identification. If you’re sending money between the UK and Ireland, don’t leave it at the mercy of the markets. 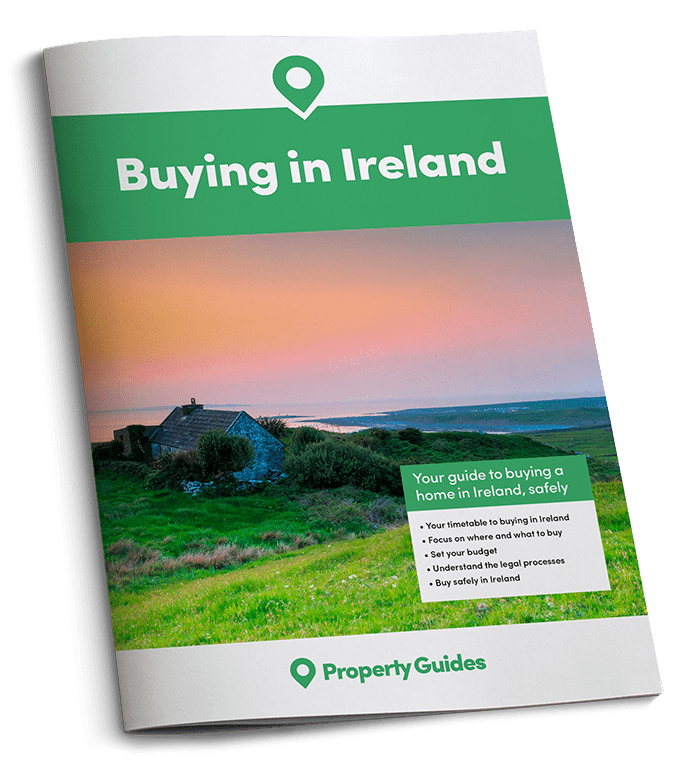 Discover how you can easily lock in the same exchange rate for a whole year in the free Property Buyer’s Guide to Currency. Once you’ve registered the vehicle and paid the VRT, you will receive a receipt and your new registration number plate. The NCTS will be able to issue you with your new Irish plates. Some people are exempt from having to pay VRT and having to register their vehicles. Mostly this just applies to students and vehicles used for business. You can check whether you are eligible for an exemption on the Office of the Revenue Commissioners’ site. You have to be insured to drive legally when you move to Ireland. Car insurance in Ireland works the same way as it does in the UK. There are a range of insurance providers out there, so shop around to secure the most competitive price. Once the car is registered and insured, you can pay your motor tax online at the Department of Transport, or in person at your local Motor Taxation Office. Once this tax is paid, you get a certificate of registration, and you will finally be ready to hit the open road! Although do bear in mind that when driving in Ireland, you must keep your licence and registration with you at all times. VAT is payable on cars brought into Ireland if they are brand new. ‘New’ is officially classified as less than six months old, or with less than 6,000km on the clock. Even if you have paid VAT on the vehicle in another country, unfortunately you will still be required to pay it in Ireland too. If you have any questions about life in Ireland, or would like free recommendations of proven, trustworthy legal, financial, currency or mortgage specialists based in Ireland, don’t hesitate to give your Ireland property specialists in the Resource Centre a ring on 020 7898 0549 – or send us an email at ireland@propertyguides.com. What is the National Car Test? If your car is more than four years old, there may be one more final hurdle for you. If your vehicle doesn’t have a valid EU Roadworthiness Certificate, you will have to undertake Ireland’s National Car test. This ensures that your vehicle complies with certain safety and environmental standards. To drive legally, either an EU Roadworthiness Certificate or a National Car Test Certificate needs to be on display in your vehicle at all times. There are a number of locations around the country that conduct National Car Tests. They check matters including, exhaust and emissions, lights, steering, brakes and so on. This isn’t a one-off test. It’s something that you need to repeat every couple of years to ensure your vehicle still makes the grade. If the vehicle you wish to move to Ireland already has an EU Roadworthiness Certificate, you only need to take the test when that current certificate expires. The National Car Test takes around an hour and will cost you €55. If you hold a UK driver’s licence or a licence issued within the EU, you can legally drive in Ireland until your current licence expires. If you wish to exchange it for an Irish driver’s licence , you are legally obliged to do so within ten years of your UK licence expiring. If you plan on becoming ‘normally resident’ in Ireland, meaning that you live here for at least 185 days of each calendar year, you might want to voluntarily exchange your EU licence for an Irish licence. This is not essential, but if you have the time, it will save you rushing through the rigmarole when your current licence expires. To get your Irish driver’s licence when you move to Ireland, you need to attend one of the country’s NDLS centres, taking with you photographic ID, proof of residency, proof of your PPS number and proof of address. In addition to your proof of ID, you fill in a simple application form, and provide any required supporting documentation, i.e. an eyesight or medical report form (if required). Whether you need these additional reports will depend on what category of licence you are applying for, your age and medical background. The switch can take up to three months to be processed. This is because the NDLS need to verify each and every foreign licence with the official body of the country that issued it. Switching your licence will cost you €55 (£48).